In Chile, many residents are all too familiar with their vulnerability to intensifying clashes with the forces of nature. With the pronounced boundaries of the towering Andes to the east and the Pacific to the west, Chile has the unfortunate distinction of being one of the western hemisphere’s biggest hotspots for such disasters. 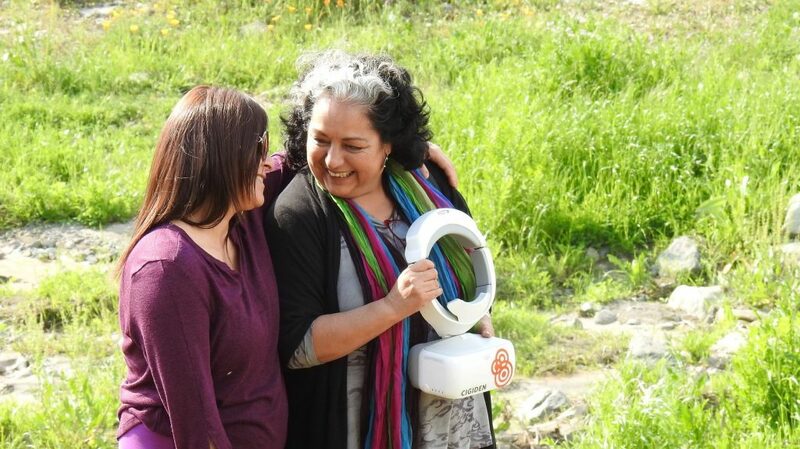 Marcela Rojas (right), a community leader in Las Perdices, Chile, learns about the implications of the DroneLab project, which is mapping high-risk areas to inform communities around disaster preparedness. Disaster risk reduction is a complex social challenge, and one that requires high levels of coordination between government, researchers, NGOs, and at-risk communities to be better prepared. There is also an important role for business to play, and global leaders IBM and Johnson & Johnson are among a number of pioneering companies offering their most valuable asset, their employees, as pro bono consultants to support high-impact projects, organizations, and the communities they serve. IBM’s Corporate Service Corps program delivers a triple impact. 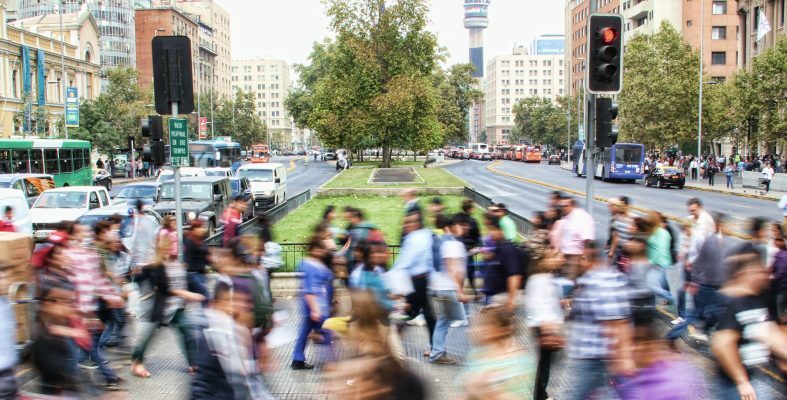 Not only does the community benefit from this work with nonprofits, the employee also gains from an experience working with colleagues from other parts of the world, from distinct cultures, and in an immersive environment. The company receives value in terms of understanding new markets and sharing what is new with IBM. 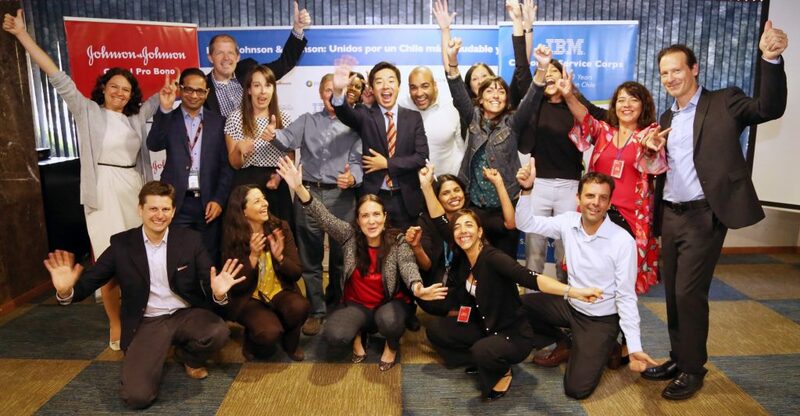 In 2018, IBM celebrated the 10-year anniversary of the Corporate Service Corps (CSC) social impact program. As the longest running program of its kind dealing with a wide range of social challenges, the CSC has consistently experimented with new approaches and partnerships, striving to deepen economic and social benefits to mission-driven organizations and their communities, while building leadership competencies and spurring innovative thinking for the participating corporate employees. A team-based initiative, the Johnson & Johnson Global Pro Bono program completed its second year of programming in 2018 and, like the IBM Corporate Service Corps, has a strong focus on community resilience. Seeking to learn from a well-established program, Yezenia Ramos, Senior Manager for Employee Engagement at Johnson & Johnson explained how her team reached out to IBM for guidance. “We knew that IBM had 10 years of experience running their program and we wanted to compare their processes with what we had in mind for ours. We learned that they allowed other companies to join their program to learn first-hand, so we thought, ‘What if we worked together as partners bringing together the power of an IT company and that of a global healthcare company?’ We planted the idea and a year later it became a reality. We brought together the resources of two companies with different company cultures, skillsets, talents, and methodologies, but we made it work because we all had the end user and community in mind. It was phenomenal,” she said. 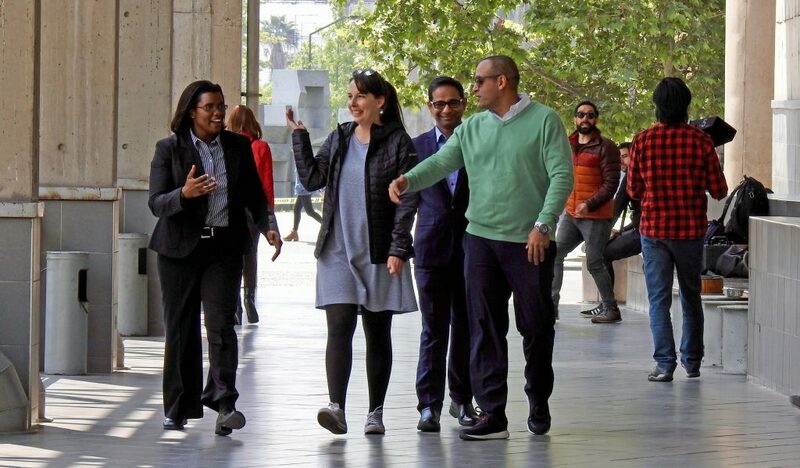 In October 2018, the two companies partnered and deployed 15 employees, nine employees from IBM and six from Johnson & Johnson, together representing 10 countries, to Santiago to leverage their core capabilities in IT and healthcare to support four organizations focused on creating a more resilient Chile. One sub-team, comprised of two employees from IBM and two employees from Johnson & Johnson, collaborated with the Research Center for Integrated Disaster Risk Management (CIGIDEN), a government-funded initiative launched in 2011 in response to one of the strongest and costliest earthquakes in Chilean history. CIGIDEN is managed by four major Chilean universities and consists of an interdisciplinary team of researchers, engineers, geologists, and anthropologists, among other experts. Its cross-discipline approach created an opening to invite additional partners. From left to right: Dawn Mims from Johnson & Johnson USA, Barbora Lebedova from IBM Slovakia, Anup Patri from IBM Malaysia, and Ricardo Rivera from Johnson & Johnson Puerto Rico. One of the ways CIGIDEN is informing its research and igniting a public conversation around disaster risk reduction is through its DroneLab project, which is capturing an abundance of aerial data. The drone data contributes to detailed mapping of infrastructure, population distribution, high vulnerability zones, and geology, among other information that can help educate and inform preparedness efforts from the household to the regional scale. However, finding a way to organize and share the aggregated data proved a challenge that initiated the partnership with the multinational companies. In my case it’s rare that I get a chance to work so close to the community that I’m serving, so I think this will help to put the right strategy in place. Our partners who work with us, they are great at analytics and supply chain, so it’s another angle of looking at the same problem, which I think brings a lot of additional value to all of us. At the closing event for the multi-company cohort, all 15 consultants celebrate together with the engagement organizers. Bacigalupe feels similarly, observing that “some of their questions have helped us think about the platform in ways that we had not thought about.” While the engagement deliverable—a digital platform that presents the synthesized data from the drones in a user-friendly format—is not yet ready for public use, the convergence of stakeholders is remarkable, and a recipe for success. From government and academia to community-based organizations, private citizens, and international corporate employees, all stakeholders are contributing their time, resources, and expertise. An inclusive approach to disaster preparedness saves lives, protects the most vulnerable, and presents a model that can serve the rest of the global community.